Virginia Tech tragedy. Virginia Tech massacre. Liviu Librescu. Suffering. Grief. Grieving. How Do We Respond to the Tragedy at Virginia Tech? How do we respond to the unbearably tragic crisis at Virginia Tech? There are no simple answers. Our first responses are visceral: shock, horror, sadness, fear, grief. Thank God we aren't immune to evil in such a way that we no longer feel such revulsion and pain. As a person of faith, part of me wants to run to God to demand an accounting for such evil. There is a place for this conversation, to be sure, but I believe we should begin by praying for those whose lives have been ripped to shreds by this tragedy. I'm thinking mostly of families and friends of the dead. We must also pray for the healing of the wounded, for all who are connnected to Virginia Tech. Though I'm not surprised, I'm grieved once again by the tendency of some to use such a crisis for personal or political advantage. Predictably, both sides of the gun lobby were quickly using this tragedy to argue for or against gun ownership. This is an important debate, to be sure, and one we must have as a nation. But, in my opinion, now is not the time for punditry, but for prayer. God of love and justice, our hearts are stunned today by the horrifying events at Virginia Tech. We struggle even to know how to pray. Yet we ask You, above all, to let Your gracious presence be known to all who suffer this day, especially the families and friends of those who have died. Grant them Your peace that passes all understanding. Help us, dear Lord, to learn what we must learn from this crisis. Give us hearts open to You. Keep us from using the pain of others to manipulate or callously advance our personal agendas. Help us to listen to each other, and most of all to You. Thank You for being a God who is not watching us from a distance. Thank You for entering into the pain and sorrow of this broken world. Thank You for being present with us when we suffer. Thank You for giving us hope when all seems hopeless, through Christ our Lord. 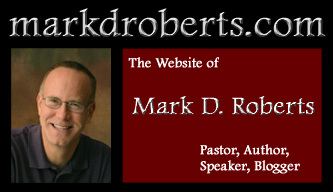 In light of the tragedy at Virginia Tech, I thought it might be helpful to put up some resources for people who are looking for answers to the tough questions having to do with suffering, evil, God, and faith. Though there are limits to our understanding, and thus to the satisfaction will find in this conversation, nevertheless I believe there are some truths we can know that will help us find guidance and even solace. "Facing the Reality of Evil" by Albert Mohler, Jr.
"Finding God When Life is Hard"
"The Hardest Thing About God"
"The Strangest Thing About God"
My book, No Holds Barred: Wrestling with God in Prayer, is not about the problem of suffering. But it does encourage us to be honest with God, even in our anger and doubt. If we take our true feelings and thoughts before the Lord, He will meet us, teach us, and grant us the peace of His presence. I want to say a few words about responding to people who are grieving. Most of us won't have the opportunity to be personally involved with those who lost loved ones in the tragedy at Virginia Tech. But all of us will, in time, have the chance to reach out in love to people who are going through difficult and painful times. People grieve in different ways. This understanding is crucial if we want to love in ways that will be helpful. Some need to talk and talk and talk about their pain. Others prefer to be alone, at least a times. Most people need times of solitude and times of togetherness. (But, as Dr. Mike rightly points out in wise a comment below, "We need one another; we need community," especially in times of sorrow.) Often they don't know what they need. Grief can almost obliterate consciousness for a while. The most important thing we can do is be present with those who hurt. Sometimes our presence will be literal. Sometimes it will be expressed through a card or a letter or a meal. Presence says "I am with you. And I will be with you through this process." Presence doesn't try to make things better. It doesn't offer explanations or solutions. Presence doesn't try to fix things. Rather, it offers love in tangible, faithful, and non-invasive ways. Our American tendency is to want to help people feel better, to take away their pain. Thus we're often tempted to "cheer people up." We want to say things like, "I'm sure God will work good things out of this tragedy." Now this might be true. Indeed, I believe it is. But when people are in the midst of deep grief, such words, even when true, can seem terribly superficial. Worse yet, they can feel like a knife cutting an even deeper wound. Let your words be few. When my dad was dying of cancer, his friend Bob would come and visit him in the hospital. Sometimes Bob would sit with my dad for hours, not talking, not expecting my dad to do or say anything, but just being there as a friend and a brother in Christ, sharing in my dad's pain. This was presence, and it was a wonderful gift. Now, twenty years later, when I see Bob, I still remember his hours at my dad's bedside, and I feel deep gratitude for Bob's presence. Because people grieve in such different ways, we must try to listen to them, to what they are wanting and needing. At times our listening will be literal, as we hear their cries and complaints and fears and hopes. Yet we must try to "listen" with our hearts, to sense what people are really saying and feeling. A person might say, "God hates me" when, indeed, she means, "I feel so horrible I can't stand it. I don't sense God's comfort. I'm so alone and afraid." If we take "God hates me" literally and try to prove that God doesn't hate her, we may miss the opportunity to empathize and be present. People who are in the midst of suffering find different expressions to be helpful. Some appreciate a hug. Others might prefer an offer of help (Let me bring dinner. Let me take the kids for a while.) Still others might find relief from a walk on the beach. Or . . . . Since American culture tends to be uncomfortable with grief, we often want to rush people into recovery. We want them to get better . . . soon. We're afraid that they might be stuck in sorrow. Though it's occasionally true that people can let their grief turn into depression that requires outside help, usually what people need most is the freedom to feel sad for a longer time than we might expect. This isn't true for all people, of course. But most of us take time to get over major losses. By the way, when I saw "get over," I don't mean to imply that people are ever "all better" or "good as new." Parents who lose their children to death, for example, are never "all better," even though they can live full, delightful, and meaningful lives. But a part of them will always miss their child, and will at times grieve over their loss, especially on special occasions, such as birthdays and key anniversaries. There is so much more that could be said about grief and caring for people who are grieving. But I'd sum up with these bits of advice: Reach out in love. Don't be afraid. Don't talk too much. Be present. Listen. Give permission. Pray. Be present some more. Listen some more. Give more permission. Pray some more. Love some more. And then love even more. What Can We Learn from the Virginia Tech Tragedy? Nothing can ever fully redeem the massacre at Virginia Tech. The tragic loss of so many lives is too great a price to be paid for any gain. But if we can learn from this terrible situation, if we live better lives individually and corporately because of what has happened, then the loss won't be completely in vain. Learning from this tragedy can and should happen in a wide variety of ways. In my recent posts I've been trying to help folks learn how better to respond to people who are grieving. I've put my effort here because this is something I know something about as a pastor, and therefore may be able to contribute positively in the learning effort. There are many lessons to be learned about which I have no expertise, and so won't say anything in public. I doubt you'll find me weighing in on issues of gun control, school security, treatment of mental illness, or how to deal with a person who seems to be emotionally disturbed in a major way. I'll leave these important conversations to others who have things worth saying. Today I want to address one significant kind of learning that comes when we encounter suffering in general, and death in particular. I know something about this not only because I've experienced personal losses, like the death of my father when I was 29, but also because, as a pastor, I'm regularly involved with people who are dying and their families. What I receive from being present in more memorial services than most people is the chance to have my perspective on life altered. I'm reminded of what life is really all about. I'm confronted with my own tendency to waste my life rather than living it to the fullest. Thinking about death, even and especially my own death, gives me the opportunity to think about life, real life, abundant life. For example, on Monday when before I heard about the shootings at Virginia Tech, I was fretting about the normal stuff of life. One might even say I was feeling pretty cranky about next to nothing. But then I glimpsed the headline that spoke of a shooting at Virginia Tech. Soon that headline spoke of twenty deaths. Then thirty. All of a sudden the things that were bugging me found their proper place in my consciousness. They didn't really matter at all. But I had been letting them rob my joy and keep me from being the kind of person I really want to be. Chances are I won't be able to make a difference in the lives of those who are suffering because of the tragedy in Virgina, other than by praying for them, which counts plenty in my book. But I can make a tangible difference in the lives of people in my own sphere of influence. I can hug my own children a bit tighter. I can do a better job overlooking their trivial shortcomings and prize them for the wonderful people that they are. I can pause to be thankful for my wife, even though our anniversary passed a few days ago, so the time period for official gratitude has passed. I can treat her with an extra measure of kindness. I can look around me for people who are having a hard time fitting in, the kind of people who aren't easy to talk to or be with. I can reach out to them with grace even if they can't return it. I can try to share the love of God with them, not just in words, but mostly in deeds. Moreover, I can focus my life more on the things that really matters, issues of justice, peace, truth, and love. Nothing can make up for the pain that has now invaded hundreds of lives because of the senseless killings in Virginia. But if we let this tragedy help us to live more significantly, more graciously, and more lovingly, then something good will have grown out of something horrible. This is my hope, for myself and others, even as I continue to pray for God's presence and comfort for those who are grieving today. Pictures of Cho Seung-Hui are now everywhere, thanks to NBC's regretable decision to give the Virginia Tech shooter the publicity he desired. Even though I haven't spent much time looking at them, I doubt I'll soon forget the face of the cold-blooded murderer. I'm reminded of how I felt looking at the omipresent images of Charles Manson when I was a boy. I can't even imagine how much additional suffering NBC has inflicted on the families and friends of the victims by parading Cho's images before the nation. Is there no wisdom left in America? Or even shame? I don't want to remember the image of Cho Seung-Hui. The New York Times distinguished itself by focusing our vision, not so much on the killer as on the victims. (HT: Hugh Hewitt) Seeing the faces of those who lost their lives on Monday and reading their short bios fills us with an appropriate sense of loss. I doubt I'll soon forget the image of the collection of photos at the Times website (see image to right). Indeed, I don't want to forget it. But this not the image I most want to remember. Other memorable images have shown the grieving students, friends, and family members of those who died in the Virginia Tech massacre. These help us to empathize with those who have lost their loved ones. They make connections of the heart in a way that words cannot. I doubt I'll soon forget the images of the grieving people of the Virginia Tech family. But these are also not the images I most want to remember. The image I do want to remember is a most unspectacular one. It's grainy and, apart from the events of this week, utterly forgettable. 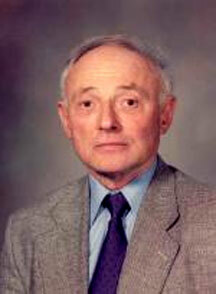 It's the image of Liviu Librescu, a professor of Engineering Science and Mechanics at Virginia Tech. As I'm sure you know by now, Dr. Librescu sacrificed his life so his students could escape. As he barred the door to prevent the killer from entering his classroom, Librescu was fatally wounded. But his sacrifice allowed his students to jump from the windows, thereby preserving their lives. Were it not for the courageous actions of this one man, many more would have been murdered. Liviu Librescu looks very ordinary. In fact, he looks just about like a professor of engineering ought to look, if you'll pardon my stereotype. His photo shows nothing that would suggest extraordinary bravery. It doesn't reveal his history as a Holocaust survivor, nor his love for his students. But behind the relatively expressionless face of Dr. Librescu was a man who loved to learn, who loved his students, and who loved life so much that he was willing to offer his so others might save theirs. Ironically, I might easily forget the image of Liviu Librescu, but I hope not. This is the image I most want to remember, the image of a person ordinary in appearance but extraordinary in soul, the image of a person of courage and honor, the image of someone I would like to be. Of course I hope I'm never in a place where I literally have to lay down my life for the sake of others. But, nevertheless, I want to live with such a self-giving spirit each day. I've heard people speculate that it was Dr. Librescu's experience of evil in the Holocaust, together with his experience of the sacrifice of those who helped to set him and his people free, that prepared him to offer his life last Monday. This may well be true. But I wouldn't be surprised if this man prepared himself for the ultimate sacrifice by serving others throughout his life. One doesn't live selfishly for 76 years only to redeem such a life by a moment of extraordinary servanthood. So, though you and I don't have to live through the horrors of the Holocaust, we can commit our lives to serving others, to making sacrifices for the good of others. My prayer is that the example of Liviu Librescu, and even his otherwise nondescript image, will encourage me to "present my body as a living sacrifice" each day as I seek to serve God and people (Romans 12:1).